When WorldCom filed for bankruptcy in July 2002 as a result of a massive accounting fraud, it led to over 12,000 WorldCom employees losing their jobs, their 401(k)s, their medical insurance, and much of the severance they were owed. Some of the employees set up a fund to help each other save their homes or pay critical bills. Even members of Congress were sympathetic to the plight of the workers and contributed to the fund the tens of thousands of dollars that WorldCom had given in political donations. But billionaire Scrooge, Sanford (Sandy) Weill, who was Chairman and CEO of Citigroup – the firm that was charged with aiding and abetting the fraud and paid a total of $3.05 billion to settle with regulators and defrauded shareholders, has quietly raked in $2,048,226 between 2006 and 2010 from a fund meant for victims of the fraud. Given the role that Weill’s firm played in the fraud, that’s akin to the driver of the getaway car approaching the bank manager after the holdup and asking if he can get his parking comped. Because the WorldCom settlement fund had $6 billion to disperse and $46.5 billion in claims, every dollar Weill took from the fund meant some actual needy person did without. According to the tax returns filed by Weill’s Family Foundation, which is a conduit for Weill to give away money, get a tax deduction, and see his and his wife’s names chiseled on buildings from coast to coast, the nonprofit received the following sums from the WorldCom Settlement Fund: $1,560,122 in 2006; $361,080 in 2008; and $127,024 in 2010. The extent of the WorldCom fraud began to emerge on June 25, 2002, when the company announced it was restating its financial statements for 2001 and the first quarter of 2002. The company said it had improperly capitalized expenses of $3 billion in 2001 and $797 million in the first quarter of 2002. The restatement meant that instead of profits for those periods, WorldCom had staggering losses. The company filed for bankruptcy within the month. In August 2002, WorldCom announced that it had discovered an additional $3.3 billion in misstated earnings going all the way back to 1999. In the end, the accounting fraud grew to $11 billion. A company that had a market capitalization of $125 billion in 1999, had worthless shares when it emerged from bankruptcy in April 2004, hoping to shed its scandal plagued past by opting for the new name of MCI. The Citigroup Foundation would subsequently donate $1 million to the 92nd Street Y, a status symbol for social climbers in New York City. It is unknown if Weill had the guts to make a claim to the SEC’s WorldCom fund. The payments received by his Family Foundation, which are denoted as “WorldCom Settlement Fund,” correlate to the distribution payment dates of the separate $6 billion WorldCom Settlement Fund that resulted from a class action lawsuit filed by the New York State Common Retirement Fund, which lost over $300 million on WorldCom securities. Of the $6 billion collected by that lawsuit from various defendants, Citigroup paid $2.65 billion for its part in the swindle. 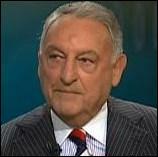 Sandy Weill serves as Chairman and Treasurer of the Weill Family Foundation. Other Directors include Kenneth Bialkin, Of Counsel at the large Wall Street law firm, Skadden Arps, Slate, Meagher, and Flom LLP. Bialkin served on the Board of Citigroup and its predecessor firms for 16 years and was the attorney Weill used for most of his major acquisitions leading to the mega merger of Travelers and Citicorp to form Citigroup. Michael Masin is also on the Board. Masin previously served on the Citigroup Board and was tapped by Weill to become Chief Operating Officer in 2002 as scandal swirled around Weill, Grubman and WorldCom. Another member of the Board is Arthur Mahon, the former Chairman of the Cornell Medical College Board of Overseers, one of the primary recipients of the Weill Family Foundation’s largesse and now renamed the Weill Cornell Medical College. Weill’s wife, Joan, and their daughter, Jessica Bibliowicz, are also on the Board. It is unclear if Sandy Weill ever actually followed the advice that Grubman was peddling to the public and bought WorldCom’s stock or bonds. If so, he would have been required to file a claim form seeking restitution funds. Within the Weill Family Foundation’s assets are numerous offshore funds which could have owned the WorldCom securities and provided a pro rata share of the settlement fund to Weill. But since the source of the income is clearly identified on the IRS 990 tax filing as “WorldCom Settlement Fund,” since Sandy Weill is Chairman and Treasurer and signed the tax filings, it would appear that he was well aware that he was receiving funds meant for the true victims of the fraud. WorldCom’s CEO, Bernie Ebbers, is serving 25 years in prison. Its CFO, Scott Sullivan, served four years of a five year sentence. Jack Grubman was barred from the securities industry for life. Over 12,000 employees lost their jobs and shareholders received pennies on the dollar. And what is Sandy Weill doing? As usual, he’s financially benefiting from his reign of hubris as he lectures the country on CNBC about how to get its financial house in order.